Build time only a few days. 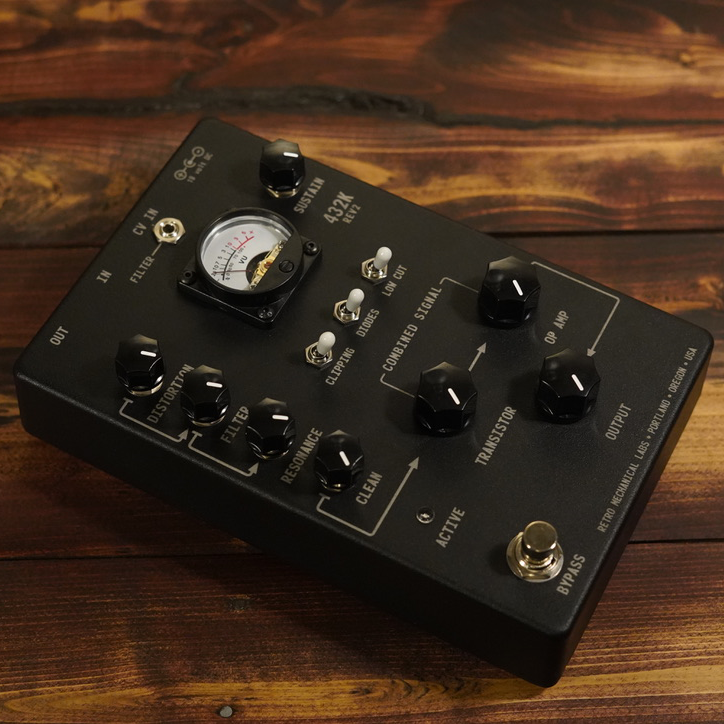 …Because vintage meters are limited and hard to find here is the “Standard meter” version. Meter is illuminated! This model has a a couple of different mods not on the normal version. A sustain knob that works much like the sustain on the Muff pedals, additional gain stage clipping for a smoother fuzz. Those mods can drastically change the tone and texture of the pedal. In addition to the mods I’ve used a different set of transistors to give the unit a slightly different sound than the regular 432k Distortion box. This is a large pedal. Its about the same size foot print as the 5.5×7.5 wood boxes. 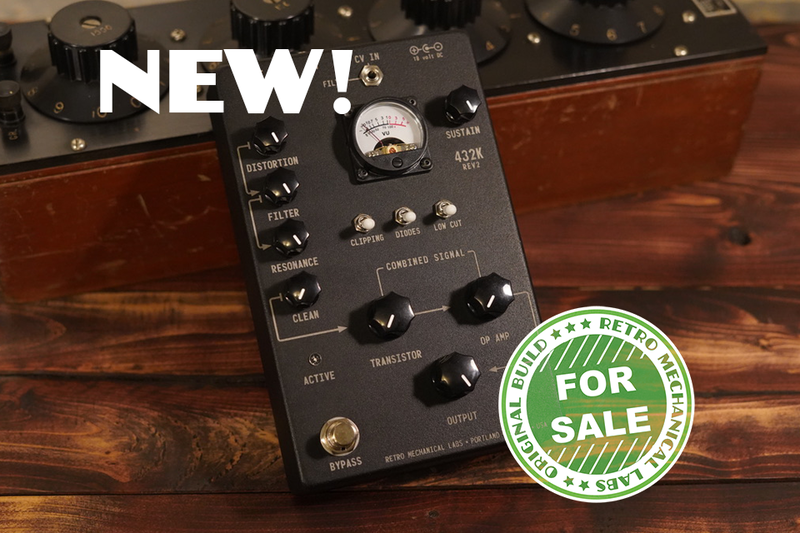 …The 432k Distortion box is all about signal routing. One distortion circuit with an active hybrid diode/transistor ladder filter (with resonant feedback) for tone control. Another with a clean pass signal. 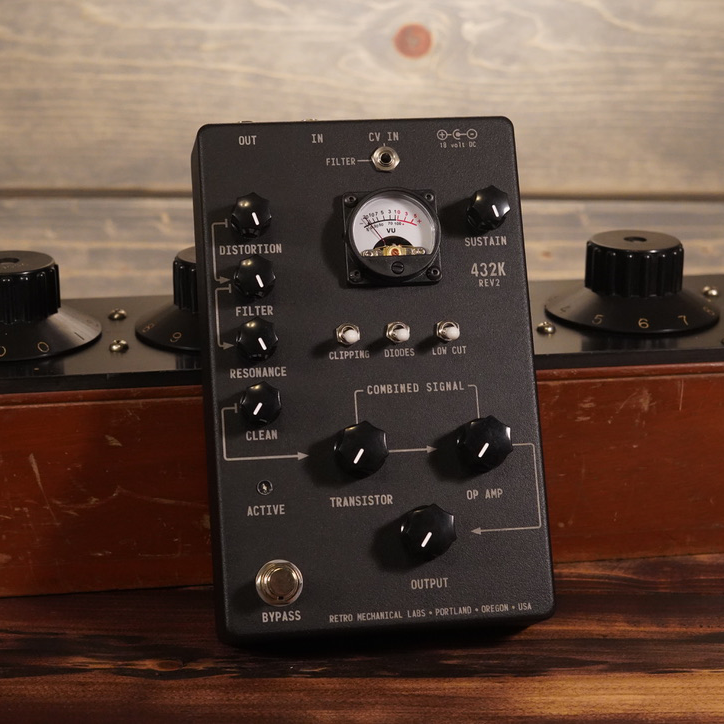 Both signals are merged together and “glued” through a transistor drive and op amp style fuzz. Also equipped with CV in for filter control. ***Use a CV to control the filter.